A traditional prawn cocktail was a popular appetizer in the 1960s and '70s. Back then it was considered sophisticated but, sadly, over time it fell out of fashion as many once-popular foods do. However, now it is back and has been smartened up, though the recipe remains much the same. A prawn cocktail is one of the quickest and easiest of starters. 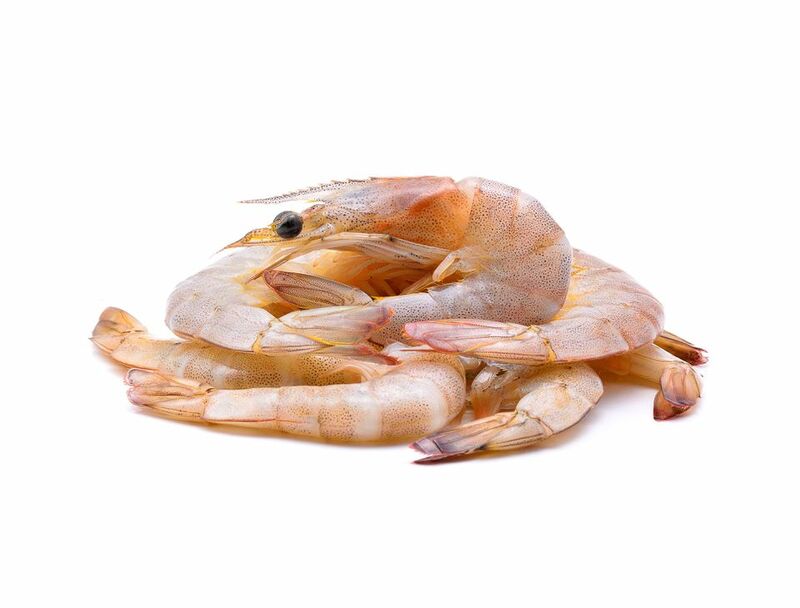 However, having a super tasty one is not that easy if you don't use the best ingredients, particularly when it comes to the prawns and shrimp. There are many cheap, frozen prawns available in the supermarket freezer but these do not make good cocktails. Once defrosted they often tend to be watery and tasteless. Use a good mayonnaise for the sauce and, if you have the time, make your own, you will notice the difference. Adding a dash of creamed horseradish zaps up the cocktail. If you don't have any creamed horseradish on hand, just add tomato ketchup for a tasty sauce. Iceberg traditionally is the lettuce to use for the cocktail because it stands up well and doesn't go soggy. You can also use romaine. In a large bowl, place the cooked and peeled prawns. Add the mayonnaise, creamed horseradish, and tomato ketchup and stir to combine all the ingredients. Make sure all the prawns or shrimp are coated in the sauce. If the sauce seems thin, add a little more of each sauce ingredient. Divide the shredded lettuce between 4 large wine glasses and top with the prawns and sauce. Arrange neatly, don't just plop the shrimp on top. Garnish each glass with a wedge of lime and an optional prawn on the edge of the glass. Serve the prawn cocktails immediately with small slices of buttered brown bread and enjoy! If you are not serving the prawn cocktail immediately, then assemble the sauce and keep it in the fridge with the prawns. Then put them together at the last minute. If you make the cocktail too far in advance, it tends to become watery and split. Refrigerate any leftovers, but it is best to eat them as soon as possible, definitely within a day. Add a tiny amount of grated fresh ginger and a splash of chili sauce to the cocktail sauce for a Southeast Asian-style cocktail. Switch the iceberg to a mixture of romaine and rocket for a little spicy taste.